The thing is, when you’ve visited a city so many times, you get settled into wandering streets, previously unknown shops and markets, eateries and bars. Once you’ve visited all the main sights, that’s when you start to really get to know a place, and for us, with Istanbul, that’s definitely been the case. All those world famous, centuries old UNESCO World Heritage sites watching over us, but, in recent years, neglected by us…until our previous trip, that is, where we were determined to once more set foot in places like the Blue Mosque and Yerebatan Sarnıcı (better known in English as the Basilica Cistern). We’re not the best sightseeing people. Queues, entrance fees, camera at the ready and chuntering to yourself when someone walks straight in front of your shot – give us an aimless wander any day. 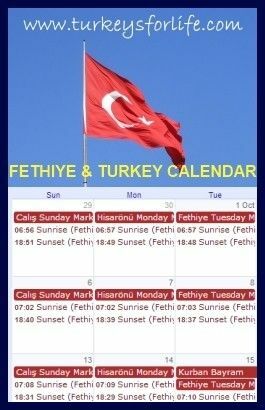 But, this time, because we were staying at Hotel Nena in Sultanahmet, we were on a mission to once more reacquaint ourselves with these places…because we could get there early! First stop was Basilica Cistern. We’d double-checked with the security guy the day before that it would be open. Yes, of course. Open every day. Basilica Cistern isn’t run by the Culture & Tourism Ministry so they don’t have that day (usually Monday – the day we were visiting) where all is closed. Brilliant! So, it was up bright and early on the Monday morning, a huge breakfast to fuel us for our anticipated running of the gauntlet and then the short walk down the hill to the Basilica Cistern. And, as we turned the corner to get to the entrance door…wonder of wonders…wide open doors and not a soul in sight! Quick, quick, quick, let’s get in before the masses descend. We paid our entrance fee and descended the 52 steps taking us below the ground and into the cistern. This place has stood here since Justinian I, the Byzantine emperor from 527-565 AD. When it came to water supplies, the Romans were pretty good at sourcing and directing it to those that needed it, and the Basilica Cistern is an extra special example of this with its marble columns arranged symmetrically. The water stored in the Basilica Cistern was used to supply the Great Palace where the emperor resided, and then afterwards, by the Ottomans in Topkapı Palace for a short while. As the Ottomans preferred running water to still water, they soon made alternative arrangements and Yerebatan Sarnıcı was left to be forgotten. And this is the part of the story that I love. Just imagine if you were this person: The Basilica Cistern was left abandoned and forgotten until 1544-1550 when a Dutch traveller, Petrus Gyllius, rediscovered it and wrote about it in his travel memoirs. He was told by residents in the area that they accessed water just by lowering buckets through their basements and pulling them back up filled with water. Some residents even fished in the waters. Petrus Gyllius clearly had a bit of the explorer’s streak about him because he wasn’t content with ‘miraculous water.’ He wanted to know where it was coming from and finally located an entrance. That must have been some sight! 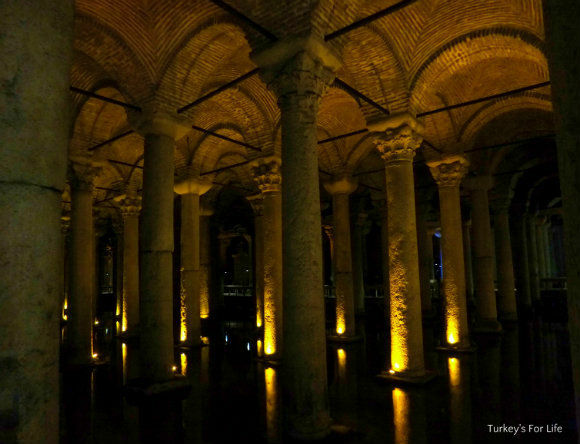 The Basilica Cistern – the largest surviving cistern in Istanbul – was thus rediscovered and back on the map. It wasn’t until 1987, however, thanks to a clean up by the Istanbul Metropolitan Municipality, that Istanbul’s visitors would be allowed to see what Petrus Gyllius had found over 400 years previously. Because of the way the walkways in the Basilica Cistern have been arranged, if you can get there early enough, you are going to be ahead of everyone else. And noooo, this is not a race or a competition or anything like that. It’s just that if you are wandering ahead of everyone else, you get more of a chance to feel the whole atmosphere of the place; the soft music, the dimly lit uplights throwing each marble column into full display, the carp swimming lazily in the waters below you, the water dripping from the arches above…and yeah, okay, okay, you get first dibs on marvelling at, and photographing, the Basilica Cistern’s two great mysteries; the Medusa heads. The Medusa heads are mysteries because no one is quite sure why they’re there. Were they just seen as useful, practical bases for the columns which sit atop them? Or was the head of Medusa chosen for a specific reason? Why is one upside down and one on its side? You can stand and ponder those questions whilst you gaze at the heads of Medusa sitting in the still waters. Theories abound. 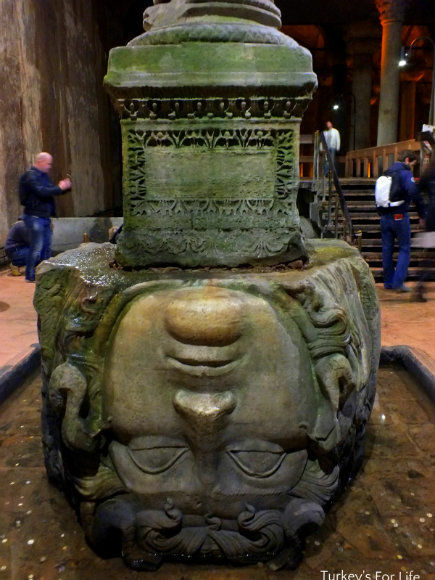 Stone-carved Medusa heads were definitely used in this period to ward off evil spirits – the ancient theatre at Myra has one, for example – but these two famous faces of the Basilica Cistern can only leave scholars with guesses. Don’t you just love a bit of ancient history, eh? We spent around 30-40 minutes in the Basilica Cistern and, of course, by that time, the crowds had started to stream in. A few more photos as we made our way along the walkway towards the exit and then it was back to the glowing white of the souvenir shop and, eventually, the busy Istanbul streets of the 21st century. The Basilica Cistern is on Yerebatan Caddesi, off the main Divan Yolu Caddesi, opposite Hagia Sophia. Basilica Cistern entrance fee is 20 TL (winter 2015). As it isn’t run by the Culture & Tourism Ministry, unfortunately, museum cards cannot be used for entry. Basilica Cistern opening hours are 09:00 – 17:30 (winter) and 09:00 – 18:30 (summer). The cistern is open daily. The queues for visiting the Basilica Cistern can be quite long – but if you get there for 9 am, you could be in for a peaceful visit, like we had. If you get hungry or thirsty during your explorations, there’s a small snack bar looking out over the cistern. There are many underground cisterns in Istanbul – we love the one that was discovered underneath Palatium Cafe & Restaurant. Free entry to that little wonder. For more information about Basilica Cistern, you can visit the Yerebatan website. You can search for the cheapest rooms near the Basilica Cistern in our Hotel Search Tool for Istanbul. I love this place, it was such a great setting for a James Bond movie . I always imagine Sean Connery there when I visit. I loved our visit to the Basilica Cistern . The atmosphere down there is so special, you end up whispering in order not to quench the magic drip-drop sound.